One of the arts spread through the indianization of Southeast Asia is shadow puppetry. Shadow puppets have a long history in India and different parts of the subcontinent have their own versions of the art. The shows are usually staged during Hindu festivals and stories drawn from Indian epics feature prominently. 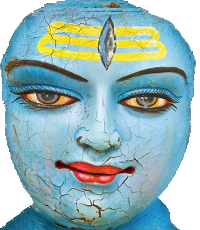 [Read more: “The Mahabharata”] Sometimes the shows are performed by families of itinerant puppeteers. The art has been picked up all over Southeast Asia. 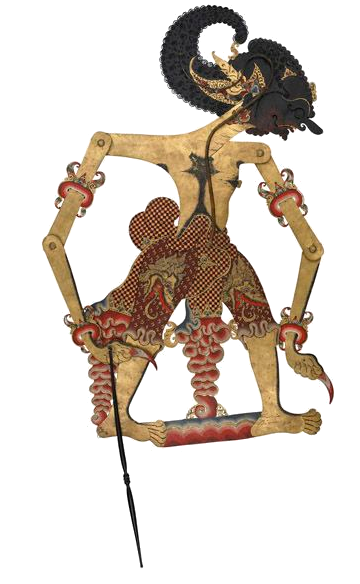 In Indonesia it is known as wayang or wayang kulit, and is common in Java and Bali. In Javanese, wayang means “shadow,” “imagination” or “spirit,” and kulit means “skin” – the puppets here are usually made of leather. The flat puppets have movable joints that are animated by rods. A skilled puppeteer can make the shadows walk, dance, fight, nod and laugh. In Bali the performance typically starts at night and continues until dawn. A complete troupe of wayang kulit performers also includes singers and gamelan players – the gamelan is an ensemble of musicians who play various traditional percussion instruments. Shadow puppets have been popular in Cambodia, Thailand, Laos and Malaysia too. Here the performances are staged during temple festivals and storylines from Indian epics are common. The shadows are cast using oil or halogen lights onto a cotton cloth background. The Arc Reactor is presented with our signature glow effect. Wayang Kulit watak terbaru daripada rakan kolaborasi kami, @fusionwk!